The South African Maritime Safety Authority (SAMSA) has warmly welcomed news of its being honoured with the prestigious “Legend of Empowerment and Transformation Award” at this year’s 15th round of Annual Oliver Empowerment Awards, this in recognition of its sterling record in the arena of empowerment and contribution to the country’s broad transformation. News of the pending award to SAMSA at a function scheduled for Emperor’s Palace in Johannesburg next month, was confirmed by Top Media and Communications editorial director Ryland Fisher to SAMSA Chief Executive Officer, Commander Tsietsi Mokhele at the weekend. “It is with great pride (that) we will be honoring the South African Maritime Safety Authority​ (SAMSA) at the 15th Annual Oliver Empowerment Awards. SAMSA​ has been chosen by our Editorial Board and selected among an elite few of true empowerment ambassadors to be honored a ‘LEGEND OF EMPOWERMENT AND TRANSFORMATION’,” announced Mr Fisher. Founded in 1998, SAMSA is a State Owned Entity (SOE) under the Department of Transport (DOT) mandated in terms of relevant legislation with ensuring safety and security at sea, the prevention of pollution of the marine environment by ships, as well as the promotion of the country’s maritime interests. In addition to keeping constantly its eye at the country’s oceans to ensure safety of both human life and security of thousands of vessels trudging it every year, in an area of some 1.5-million square kilometers with a coastline totaling 3900km, SAMSA has also notably since 2010 played an increasingly important – and in some cases, pioneering – role in drawing and driving hard for the country’s maritime economic sector for formal inclusion into South Africa’s economic development agenda. SAMSA ROUND TABLE MARINE MEETINGS: In the foreground, South African Maritime Safety Authority CEO, Commander Tsietsi Mokhele addressing some representatives of the Oil & Gas, Marine Manufacturing and Marine Tourism subsectors at the Mount Nelson Hotel in Cape Town in February 2016. In this regard, SAMSA initiatives have involved broadly, among others; maritime economy human resources skills development encompassing both annual national awareness campaigns and actual education, training and skills development facilitation; business enterprise promotion and development in the manufacturing (boats and ship repairs), fishing (licensing and regulation) and marine tourism subsectors, as well as enhancement of local sea trade through promotion of commercial cargo registration under the country’s flag. The endeavours, pursued jointly through dedicated SAMSA centres; have been pillared principally on broad consultation through round-tables with stakeholders both in the private and public sectors. This approach led in 2012 to the country’s first ever South Africa Maritime Industry Conference (SAMIC) held at the Cape Town International Conference Centre and following to which several notable milestones were achieved, including the formal launch two years later of the Operation Phakisa (Ocean Economy) initiative by President Jacob Zuma. In addition, apart from ongoing seafarers training that had been greatly enhanced by the presence of a dedicated training vessel, the SA Agulhas, under SAMSA’s control since 2011; maritime economic sector education, training and skills development will from 2017 formally reach all levels of formal education in the country, from foundational through to tertiary level when about a dozen technical vocational education and training (TVET) colleges will embark for the first time ever on delivery of maritime economic sector focused education curriculum. The progress is underscored by the successful launch in 2014 of the South African International Maritime Institute (SAIMI) as an ‘apex maritime institute that will enable development and the contribution of the maritime sector to the economy of South Africa and Africa through the effective coordination of quality education and research by partner institutions’. In October 2015, following to an exhaustive consultation and research programme laying foundation to development of a marine tourism strategy document, SAMSA in collaboration with private sector partners including the V&A Waterfront in Cape Town, successfully staged the country’s inaugural national South African Ocean’s Festival as a focused intervention to both promote nationally marine tourism as well as draw business investment into the subsector. Meanwhile, as many as 15 commercial cargo vessels are expected to be carrying the country’s flag by end of 2016 – a major milestone both for local seaborne business as well as skills development. Indeed, this will be the largest batch of cargo vessels carrying the country’s flag since about 30 years ago. Until August 2015, there had been no commercial cargo vessels carrying South Africa’s flag since the mid 80’s. In confirming the presentation of the Oliver Award’s ‘Legend of Empowerment and Transformation Award’ to SAMSA in 2016, Mr Fisher said the honorary Legends of Empowerment and Transformation Award celebrates success and honours those who have made a major and significant contribution to transformation in South Africa. Of SAMSA, Mr Fisher said: “We have watched the South African Maritime Safety Authority accelerates through milestones and tackle the challenges that make South Africa unique. “You have enlightened us with the effort the South African Maritime Safety Authority​ has made to foster the spirit of empowerment, and become a leader of transformational change in South Africa. Being a legend is much more than compliance, it means you are beyond average and have made a major and significant contribution to transformation in South Africa. Responding to the announcement, Mr Mokhele described the recognition given the institution in the category as humbling, especially coming at a time when the institution had just lost one of its senior managers who had been central to SAMSA’s efforts for the promotion of the country’s maritime economic sector, Ms Sindiswa Nhlumayo. 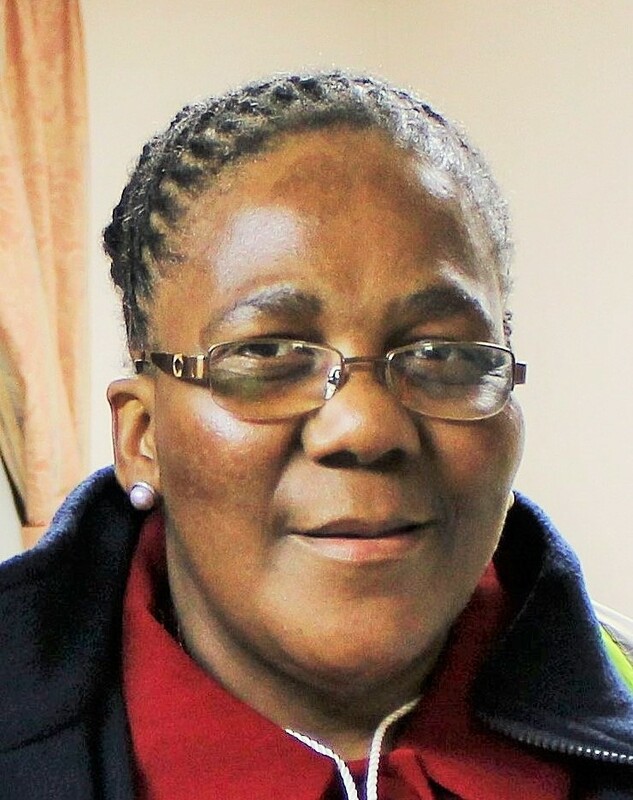 An executive head of SAMSA’s Centre for Maritime Excellence and a multi award winner including the Institute of People Management (IPM) ‘Business Leader of the Year 2015’, Ms Nhlumayo (45) succumbed to cancer in early February 2016. Mr Mokhele dedicated the award to all SAMSA employees, its management and board of directors, describing it as reflective of their hard work and commitment to delivering on the mandate of the organization. A MARITIME ECONOMY BOOST FOR SOUTH AFRICA AFTER THE COUNTRY SECURES ITS FIRST CARGO VESSEL REGISTRATION! The Cape Orchid, South Africa’s first registered cargo vessel to carry the country’s flag since 1985, seen docked here at the port of Saldanha to load its first shipment of 170 000 tonnes of iron ore since registration. The vessel is owned by a Vuka Marine. The historical event that took place in China earlier this month and celebrated in Saldanha Bay on Thursday afternoon, marked the first time any commercial shipping vessel has been formally registered to carry a South African flag since about three decades ago. The registered vessel, named the Cape Orchard; was officially unveiled at a ceremony in Saldahna Bay on Thursday afternoon (September 24, 2015) and during which event, the first three South African cadets onboard a South Africa registered vessel were placed– also a historical first. The last time any registered trade vessel under the country’s flag was spotted in our shores was in 1985. Attending the event held aboard the vessel at the port of Saldahna Thursday evening were senior government officials led by Minister of Transport, Dipuo Peters, her deputy, Sindisiwe Chikunga; management leadership of both the SA Maritime Safety Authority (SAMSA), Vuka Marine, K-line as well as some industry players, including iron ore miner, Anglo American’s Kumba. SAMSA officials, led by Chief Executive Officer, Tsietsi Mokhele and Chief Operating Officer Sobantu Tilayi were in China a few weeks ago for the signing of the Vuka Marine shareholder agreement that sealed the historic registration of the vessel. Mr Millard revealed that the agreement actually involved two vessels -the second named Cape Enterprise, due for registration in the coming week. 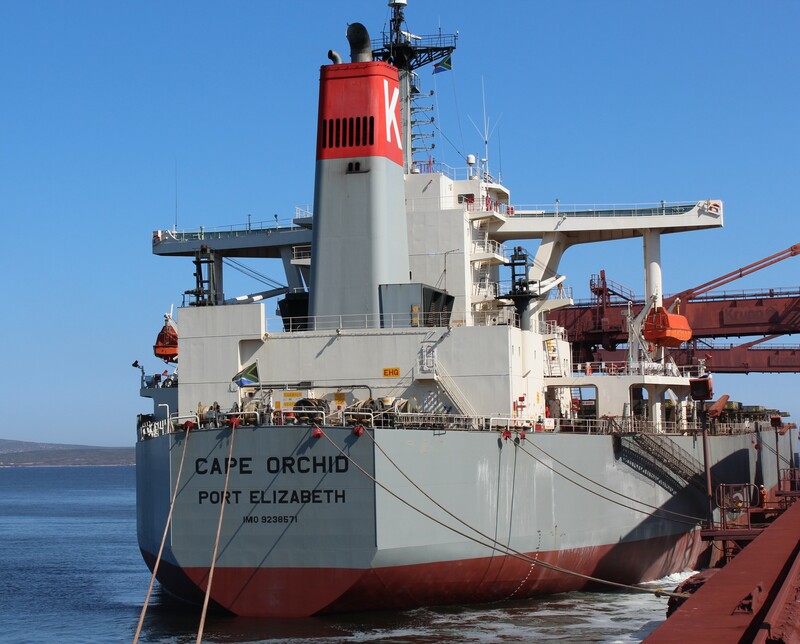 Mr Millard confirmed that the Cape Orchid is the first merchant vessel to have been added onto the South African register since 1985 and the first to be registered under the Ship Registration Act of 1998. According to Mr Millard, apart from being the first vessels to be registered under the SA flag, these would also be the first non-Government, South African flagged ships to take South African cadets on board in over a decade, and also significantly, the Cape Orchard would be the first South African flagged vessel to accept an export cargo from a South African mining company in over 20 years. CREATING WAVES (From Left) Mr Andrew Millard, CEO of Vuka Marine with Mr Sobantu Tilayi, Chief Operating Officer of the SA Maritime Safety Authority (SAMSA) at the event to celebrate the historical first registration of a cargo vessel under the South African flag since before the dawn of democracy some 20 years ago. At the time of the celebration at Saldanha Bay Thursday, the 300 metres long, Japanese-built bulk carrier had already been fully laden with iron ore destined for Asian markets. Andrew Mthembu, chairman of Vuka Marine meanwhile attributed the success of the venture and its historical significance to South Africa’s maritime economic sector development to high co-operation received from the South African government but specifically the Finance Ministry. Mr Mthembu said such cooperation would remain vital to South Africa’s current strife to attract ships onto its register to improve job creation and training prospects for the country’s seafarers. Norman Mbazima, chief executive officer of Kumba Iron Ore and deputy chairman of Anglo American South Africa, expressed pride in the historical development: “We are proud to be witnessing this historic moment for South Africa, and for Anglo American and Kumba Iron Ore to be the Cape Orchid’s first customer, dispatching a cargo of 170,000 tonnes of iron ore to China. “Vuka Marine has achieved a key milestone for this country and we look forward to a strong partnership as it is through partnerships of this nature that we are able to support job creation and the growth of South Africa’s economy,” he said. In response, Transport Minister, Dipuo Peters also lauded the occasion of the registration of the vessel under South African flag colors as having marked a significant positive turn around for the country’s efforts to both develop and grow the maritime economic sector as well as formally fully integrate it into the country’s general economy. According to Ms Peters, a value analysis of South Africa’s maritime economic sector conducted by the government in 2013 established that the sector could contribute between R129-R177-billion and generate as many as 800 000 to 1-million jobs by 2033. Pursued under Operation Phakisa: Oceans economy – an initiative launched by President Jacob Zuma almost a year ago this month – subsectors identified as key to unlocking and releasing the full potential of the country’s maritime economic sector include marine transport and manufacturing, tourism, offshore oil and gas, construction, renewable energy, fisheries and aquaculture, communication, desalination and marine protection services. Projections were that marine transport alone could contribute up to R25 billion to the country’s GDP and create 18 000 jobs in 2033, this driven primarily by growth in cargo handling, with container volumes projected to increase by 6% per annum. As at 2013 about 12,000 vessels on average per annum docked at South African ports manned by as many as 240,000 seafarers and between them responsible for almost 300 mega tons of freight at cost of R44-billion. In terms of the United Nations Convention of Trade and Investment (UNCTAD), South Africa is allowed to transport up to 40% of international trade entering and exiting its ports using SA flagged ships. The challenge for the country however was that until now, while it had several local and internationally registered shipping companies serving its needs for trade goods transportation around the globe, none of their vessels were registered in the country, and as such the country derived little benefit for the local economy. The lack of beneficiation expanded crucially to both skills development and job creation in the country’s maritime sector in general. Of the 240 000 seafarers onboard the cargo vessels, only about 2400 were South African. For South Africa to realize its goals of unlocking the potential, but especially with regards transportation, it required urgently to establish its national registry of shipping vessels, said Ms Peters. 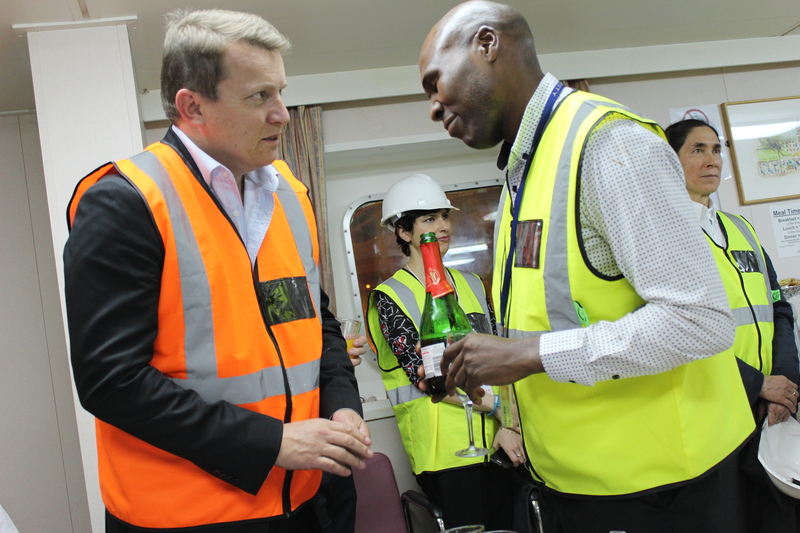 Sharing the Minister’s view on the high significance of the registration of the vessel was Mr Mokhele. “My goodness, the dream which has eluded South Africa for 30 years has been achieved. It is a myth buster for those who held the view that South Africa cannot do it,” said Mr Mokhele. 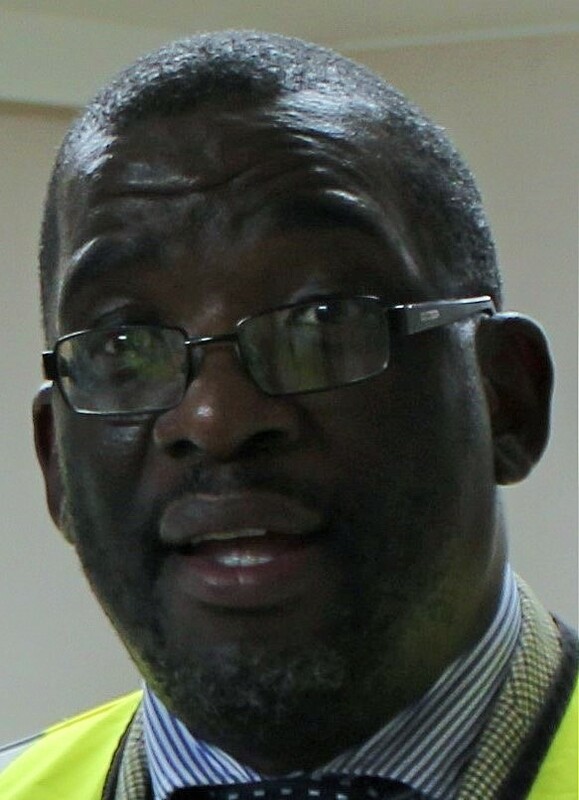 Mr Mokhele said government facilitation would remain critical to the process of enabling registration of vessels and expressed confidence also that the historical entry this wee of the vessel into South Africa’s ship registry for the first time in three decades heralded a new era during which a substantial number of similar cargo vessels would wear the country’s flag colours once more, with pride.